There are 17 reviews of Artisan Black. Smells nice enough when you apply it. But, 15 minutes later and pfffft! Gone. Too bad. I sort of like it for the first 5 minutes until it fades. This is a remarkable achievement. How can any scent fade so quickly? Artisan Black is a woody, fresh cologne suitable for warmer weather. You'd probably be shocked by looking at the olfactory pyramid but the scent itself is actually not complex at all and pretty linear. It starts with a fresh and dry blast of blood orange, citrus and ginger. Then, at the blink of an eye, this spicy and watery opening turns darker and dusty thanks to the backing of the woody and masculine basenotes such as patchouli and vetiver and a synthetic musky accord. Although the entire process more or less smells very synthetic, I'm impressed with the overall offering of Artisan Black compared to its price. It's a fresh, calm and balsamic smell with a somewhat mysterious character. However, on the down side I can probably safely claim that you'll get more longevity and sillage out of spraying lemonade on your skin. Yes, they're that bad. Legendary bad, I should say. If you're on the fence about this one, I'd say skip... Unless you're a collector who's into flawed gems. Well, I got the gift set with a 125ml bottle and an after shave lotion for $30, so I should be gleeful. It was a semi-blind buy(i had bought a few months before a set of 5 little john varvatos travel bottles...but at that time of spotting this deal, i couldn't recall which one(s) I liked. I right off the bat knew I liked the normal john varvatos one, and didn't like artisan. This smells both compelling, boring and sickening at once...also similar in that grossness to versace dreamer. How? Which note? Any? LOL. Buy it CHEAPER! 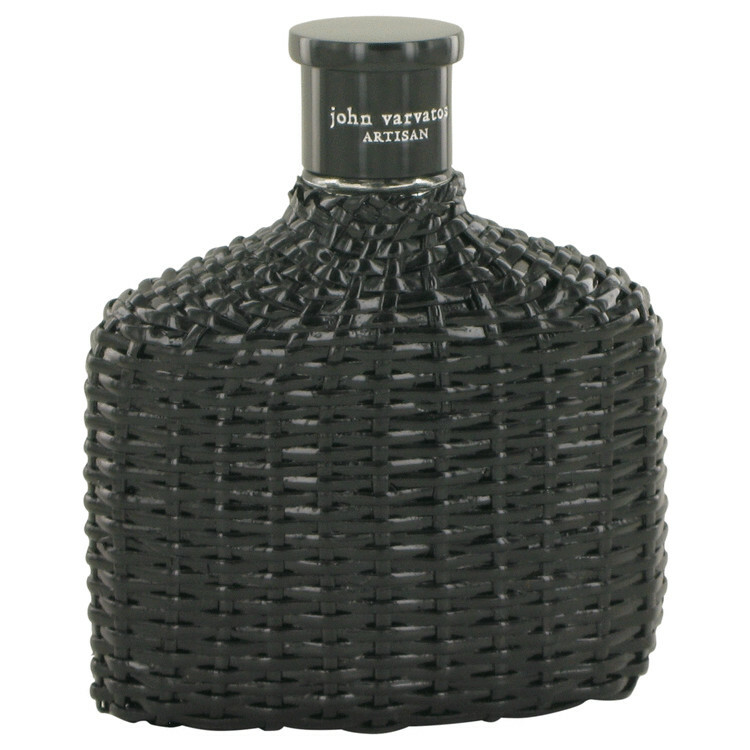 John Varvatos Artisan Black is mainly a citrus scent with some smaller supporting elements. A very pleasant ensemble of orange, lemon, and (seemingly) grapefruit, it's an agreeable warm weather scent. Opening with a mix of citrus and a generic vegetable smell, fading into a musky citrus dry down. The note list is extensive and I admit that I don't get nearly that much out of it, just something more generic and simple. Projection is nice at the opening but it fades quickly to a skin scent, but a pleasant skin scent. $32 for 125ml on FragranceNet isn't a bad deal if you enjoy the scent--it's one I wanted to own, as it feels a generic citrus void that's missing elsewhere. I'll be giving this one a strong, "meh", which, coincidentally would be the same exact thing I'd say about Chrome if anyone happened to ask. I'm wearing this on one wrist, Chrome on the other and now ten minutes into it I really can't tell them apart which is neither a good nor a bad thing. More of a, "meh", thing, really. Complex spicy floral...opens with an intense lemon oil and cardamom note reminiscent of furniture polish that quickly mellows to a cedar-patchouli-incense heart that is softened by a moist vegetal green character (think freshly cut grass and pruned rose bushes). The cardamom really pops throughout wearing and binds the citrus/gourmand notes with the smoky aromatic woods and florals. ARTISAN BLACK is a predominantly masculine floral fragrance that's elevated by citrus and cardamom. Rich and intriguing...lasts 6-7 hours on skin and clothes. There are no member images of Artisan Black yet. Why not be the first? Is there anything that smells like John Varvatos Artisan Black, but lasts?? John Varvatos Artisan / Artisan Black - any difference at all? John Varvatos Artisan Black/Artisan comparison?